The province is facing a healthcare crisis, as its hospitals and clinics are battling an acute shortage of staff, medicines and ambulances. The majority of the province’s hospitals and clinics are unable to cope with multitudes of patients at overcrowded facilities, while the shortage of ambulances has exacerbated the situation at all hospitals. The vacancy rate for professionals – which includes doctors, nurses, pharmacists and physiotherapists – is estimated at between 70% and 75% in the province, with even the new, state-of-the-art hospitals in Upington and De Aar running on what some called “skeleton” staff. The department of health is said to have no money to pay higher salaries to attract doctors and nurses from other parts of the country. Due to the shortage, Mangaliso Robert Sobukwe Hospital (formerly Kimberley Hospital), a referral facility, is unable to cope with the demand for specialist services and has to make transfers for operations and chronic cases to Bloemfontein. A lack of ambulances at the Dr Harry Surtie Hospital in Upington has caused delays in the transfer of patients requiring emergency medical care to Kimberley. One of the ambulances was standing in the parking bay because its licence disk expired and drivers were refusing to drive it. The problem was reported to authorities a long time ago but nothing was done. An official, who asked to remain anonymous due to fear of reprisal, described the shortage of medical staff as “historical” due to the fact that vacancies remained unfilled for a number of years. 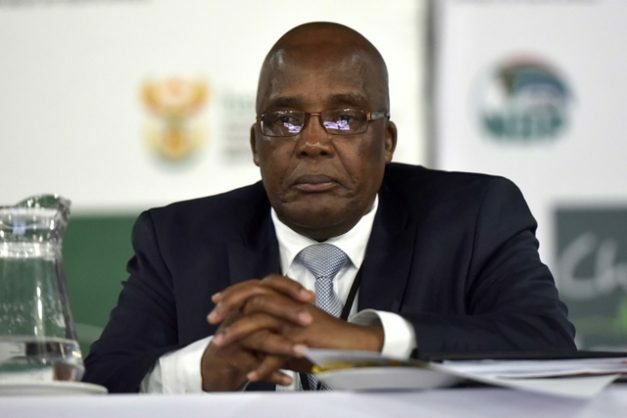 He said many posts had acting staff for between three and four years without permanent appointments, mainly due to lack of funds and unavailability of professionals to come and work in the Northern Cape. “Some of those acting had refused to carry on in those posts, because the [provincial health] department was not paying them the acting allowances. They are also overworked because of the shortage of staff,” the official said. DA provincial leader Andrew Louw visited the health centres as part of the DA’s Listening Tour last month. “During my tour, which is currently taking me through Namaqua and the area around Upington, I saw first hand how our people are being denied access to medical care,” said Louw. He and his delegation experienced a similar lack of ambulances in the rural Namakwaland’s Sanddrift and Alexandra Bay. At Port Nolloth clinic, a contractor had abandoned the site and the building was only open for vandalism. According to Louw, Dr Harry Surtie Hospital’s serious lack of staff, ranging from clinical to surgical staff, had resulted in only 228 of 327 hospitals beds being used. Besides low-level staff shortages, critical posts such as the CEO and other senior management positions had acting personnel. “Communities are tired of empty promises, tired of poverty and desperate for a change which can ensure access to basic services. By refusing to appoint staff at hospitals, the ANC is undermining the delivery of quality health services to our people,” Louw said. DA MPL and spokesperson for health Isak Fritz said the De Aar Hospital was facing a similar crisis. This facility, which recently opened its doors, had only four doctors and ran the risk of becoming another failed project. The lack of professional health workers and funds has even delayed the plan to open a psychiatric hospital in Kimberley. Fears are that, should it open, a situation similar to Life Esidimeni in Gauteng could easily happen in the Northern Cape.